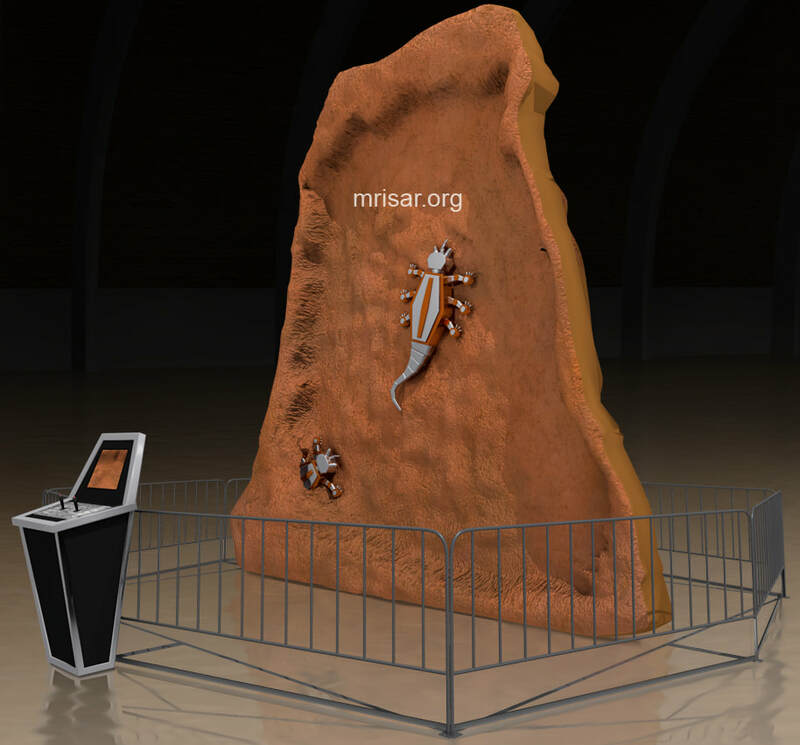 Control a dexterous robot Gecko to make it navigate across a simulated rock wall while seeing from its perspective through a telepresence camera and monitor. The robot has a dexterous autonomous body and legs with sensors that allow it to move in its environment. This is similar to the aspects of real life forms within the insect and animals kingdoms and relates to bio-mimicry. 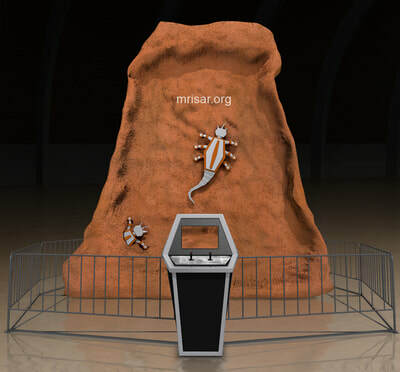 Robotics with special skills can have positive effects on many types of industrial applications and also in applications in challenging natural environments. In those applications and many other types, they can extend human capabilities beyond normal limits of diversity of skills and size restrictions to movement and tasks. 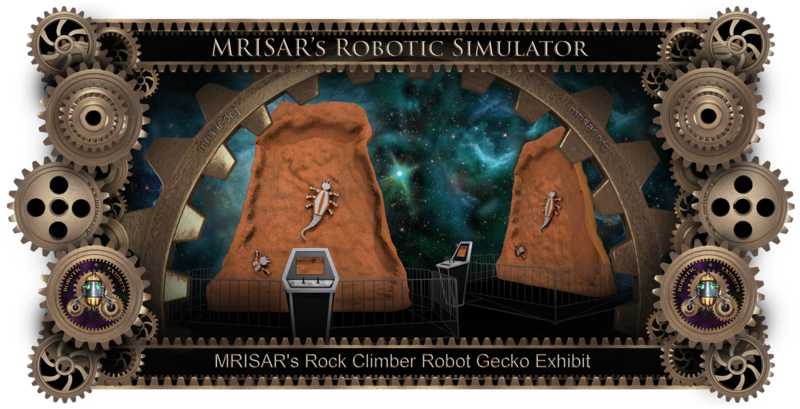 This exhibit comes with graphics that discusses bio-mimicry aspects of technology and conforms to STEM education! Approximately 12" high x 12ft wide x 50" deep.